Add 2 cups of water to 1 cup dry quinoa. Bring to a boil and simmer ~ 15 minutes. Cook shrimp in a skillet while quinoa is cooking. Add spices & lime juice to taste. When quinoa is done (water is gone), add beans, corn, and scallions to the pot and stir. Also add spices and lime juice to taste. 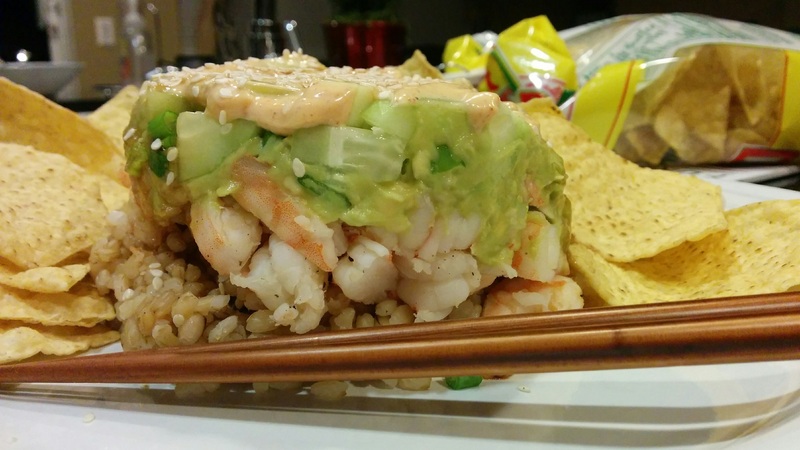 Spoon quinoa mixture into a bowl, then add 1/2 avocado, and finally shrimp on top! 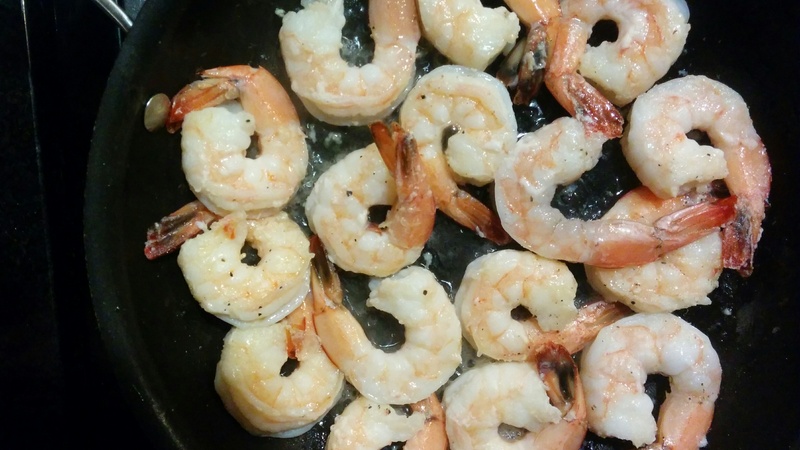 Cook raw shrimp in a skillet, stovetop. Add seasonings to taste. While shrimp are cooking, dice cucumber, tomato, and avocado and mix in a bowl. Add lemon juice & salt. Stir well. 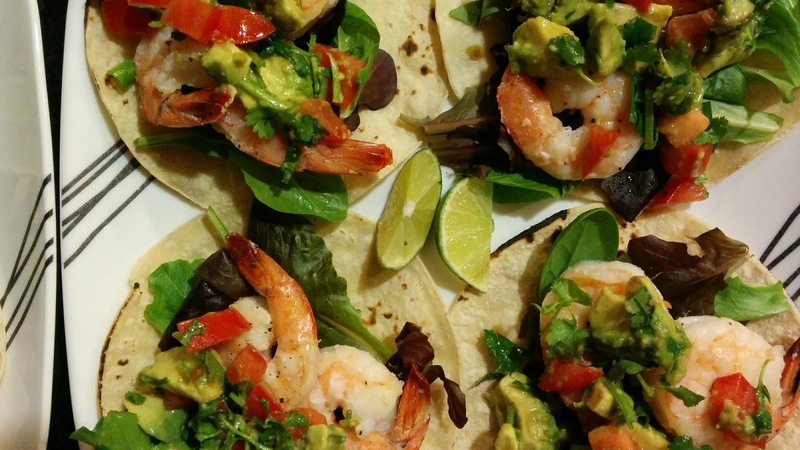 Add shrimp & avocado salsa to the corn tortillas. ENJOY! Oh dear…I can’t handle all the new recipes this week. They are just so deLISH!!! Cook shrimp in a pan. Add pepper and garlic to taste. Cut shrimp into smaller, bite sized pieces. Mash avocado in a bowl. Chop green onions. Cook rice. Dice cucumber. Mix mayo and Tapatio (or Sriracha) together. This recipe makes TWO stacks, so you need to repeat this two times. In a LARGE coffee mug (or small pot…something cylindrical), layer the following ingredients: add half of the cucumber, then the green onions, followed by the avocado, and finally the brown rice. Pack down the ingredients to better insure that they will stick together. Flip mug upside down on a plate and tap several times to make sure the stack comes out. Pull the mug up slowly. If necessary, gather pieces that fell out and pack them to the side of your stack. Pour a small amount of soy sauce over your stack. then spread the Tapatio mixture on top. Add sesame seeds for extra style points. Tadahh! I chose to serve this with corn chips which worked out perfectly. It was fun to scoop up the stack with the chips, plus it added some extra crunch. Tonight’s dinner: coconut milk mushroom chicken on brown rice with a side of 5 super food salad. Amazing. Delicious. Absolutely scrumptious. Bake 2 large chicken breasts. In a pot, heat coconut oil and add: 1 lb of chopped mushrooms, 1 medium yellow onion (chopped), pepper and garlic. Cook for 5-10 minutes. Add 1/2 can of coconut milk. Simmer for 5-10 minutes or until it looks thick. Heat up 1 package of brown rice (90 seconds in the microwave…Costco!). 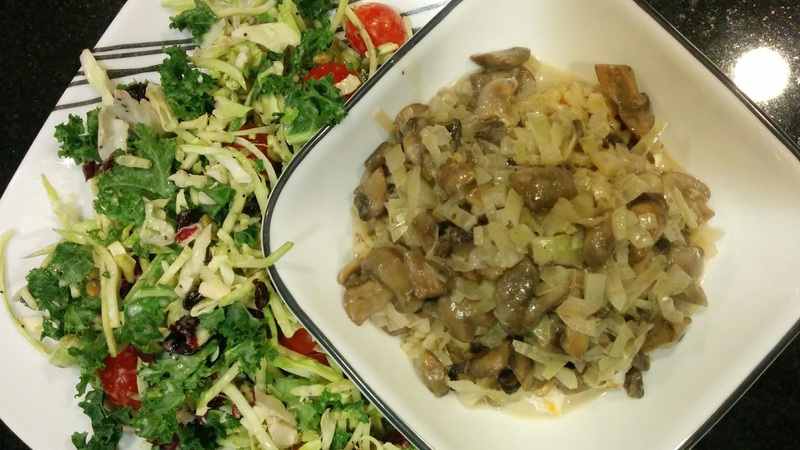 Serve in a bowl: rice, then chicken, then mushroom mixture on top. Salad served on the side. Next, add the squash and sweet potato to the pot and pour in the vegetable broth. Seafood, especially shrimp, is low in calories but high in protein. 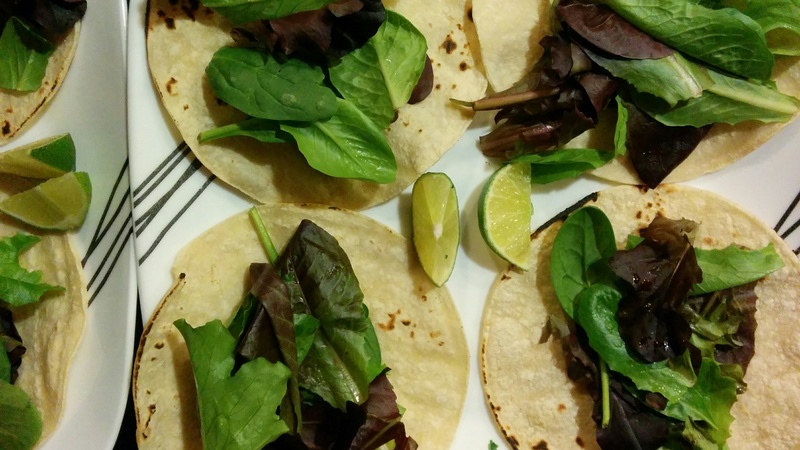 Here is a simple recipe for fresh shrimp tacos! In a frying pan, melt coconut oil. Place shrimp in pan and cook until orange. Add salt, pepper and garlic as desired. 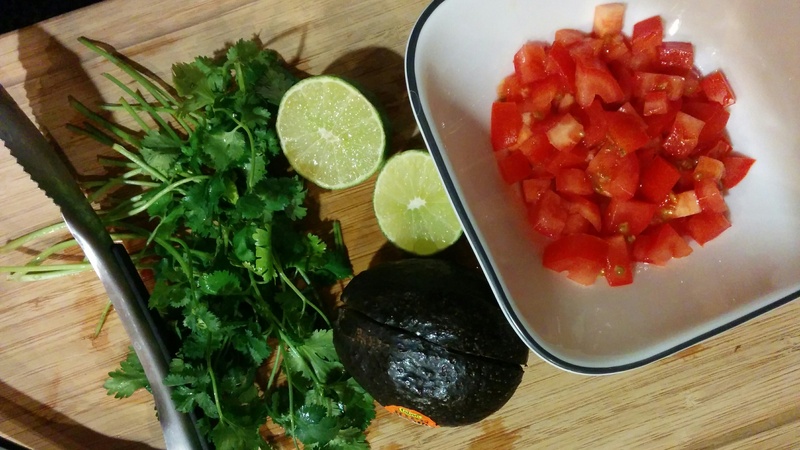 While shrimp are cooking, make your salsa: mix your diced avocado, juice from half a lime, 1 diced tomato, and chopped cilantro in a small bowl. Set aside. One of my favorite weekend breakfasts is pancakes. I’ve make “paleo pancakes”, which use almond flour and other paleo products, but these take the cake! 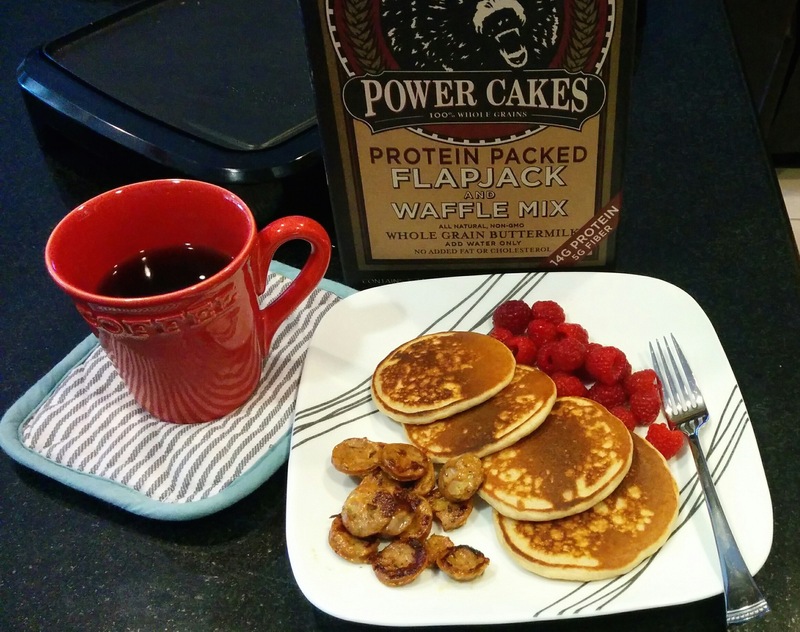 I found Kodiak Cakes “Power Cakes” mix at Costco, and I have to say, it’s well worth spending the $12 on. This pancake mix is made with whole grain oat & wheat flour and a whey protein blend. I love topping my pancakes with fresh fruit, especially berries. For two people, we normally make 2 cups worth and sometimes we still have left overs. The left overs are amazing the next day in the toaster! We also like to prepare some chicken sausage (Costco as well) to go with the pancakes. 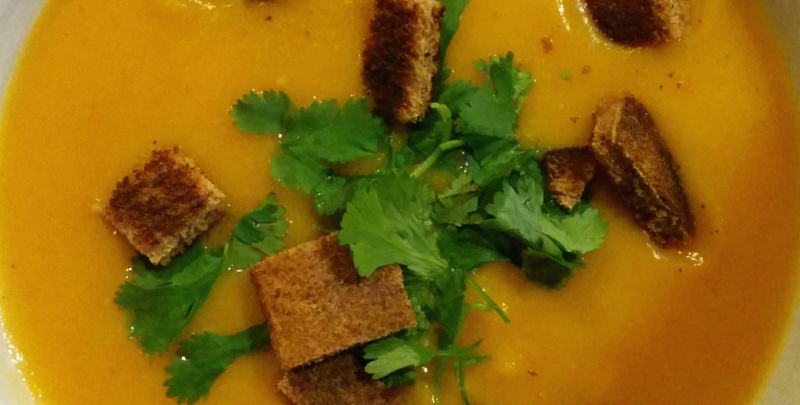 This is a great cold day meal and it’s super easy to cook! My recipe is based on the “Mexican Slow Cooker Stew” recipe from Everyday Paleo (available on Amazon). This recipe turns out different every time, but it’s always delicious! Mix all dry spices in small bowl. 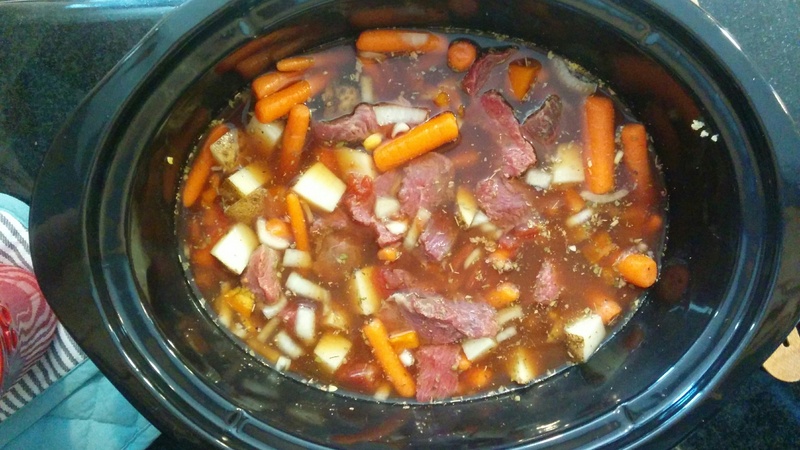 Place beef, garlic, and onions in crockpot and turn on low. Add spice mixture and mix well. 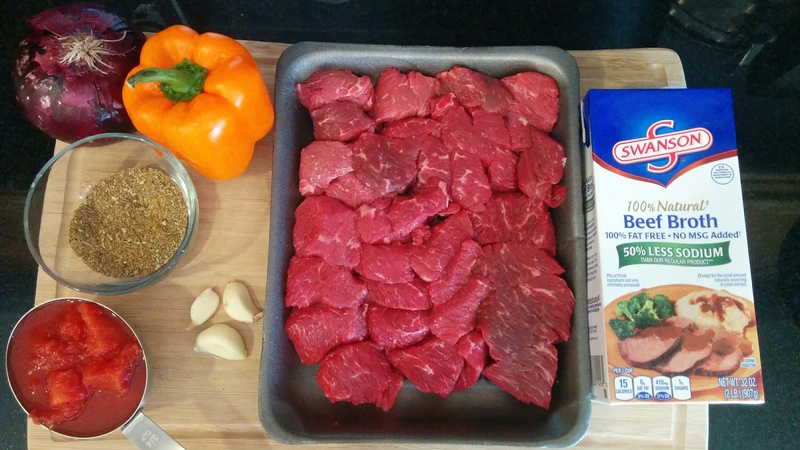 Add the carton of beef broth and tomato product. Mix well. Cook on low for 8 hours or until beef is fall-apart tender.